Go BETA Or Go Home! BETA members after their performance on Homecoming day. Raise your swords to the Knights of Black and Gold! 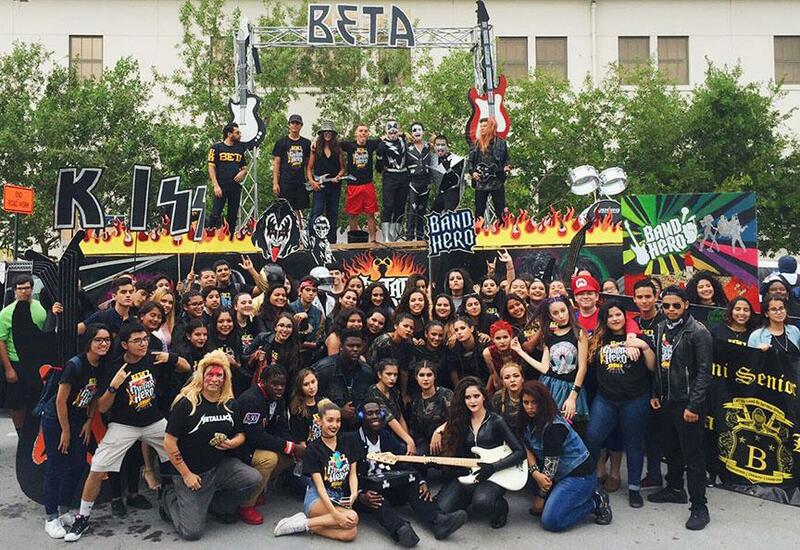 The Beta club is taken very seriously here at Miami High. It’s no surprise that their members roam these halls with their heads held high. Established at Miami High on November 12th, 1954, Beta’s mission has always been to promote scholarship, spirit, academic excellence, involvement, and good citizenship. There must be a reason for all the buzz about Beta, and many people want to know what drives a Stingaree to become a Beta Bee? In order to join Beta, you must have a 3.0 GPA. The club has some of the finest students in the school; there are currently 204 members in the club and that number continues to grow. Some people had another club in mind and realized they made the right decision when choosing Beta. “I was actually convinced by alumna and English teacher Ms. Berrios and the Huecks to join. 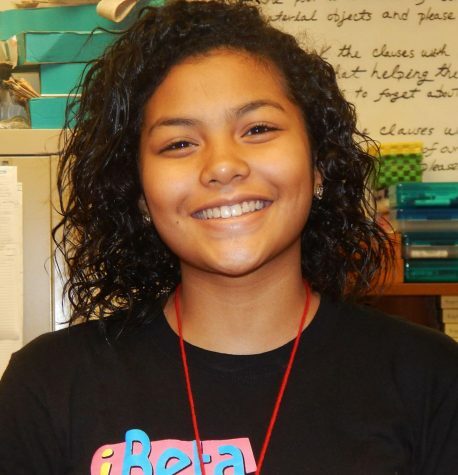 I had another club in mind, but joining Beta was the best decision I could make,” said junior Valentina Molina. Although many members are happy with Beta, some members believe that the club could be better than it is by adding a few things. Junior Daniel Rodriguez believes that the club would be better if more people joined. It’s one of the most important events celebrated here at Miami High, and Beta doesn’t play around when it comes to Homecoming. Winning first place overall consecutively for the last five years, Beta has proven that they go big or go home. Beta President Carlos Moreno was very proud of his club and the overall effort of his members. From walking in the parade to dancing and float building, he was very satisfied with the final score on his final year here at MHS. Once a Beta, Always a Beta, a phrase commonly heard by Beta members, stands true to many. Beta alumni believe that being a member taught them a lot and enhanced their high school experience. English Department chairperson and Beta alumna Ms. Suarez said that Beta introduced her to new and amazing people who she would’ve never met otherwise. Being a member taught her to be responsible and manage her grades. What GPA do you need to have to be in Beta? When was Beta established at Miami High? What room is the Beta room? How many years in a row has Beta won first place in the Homecoming Parade?